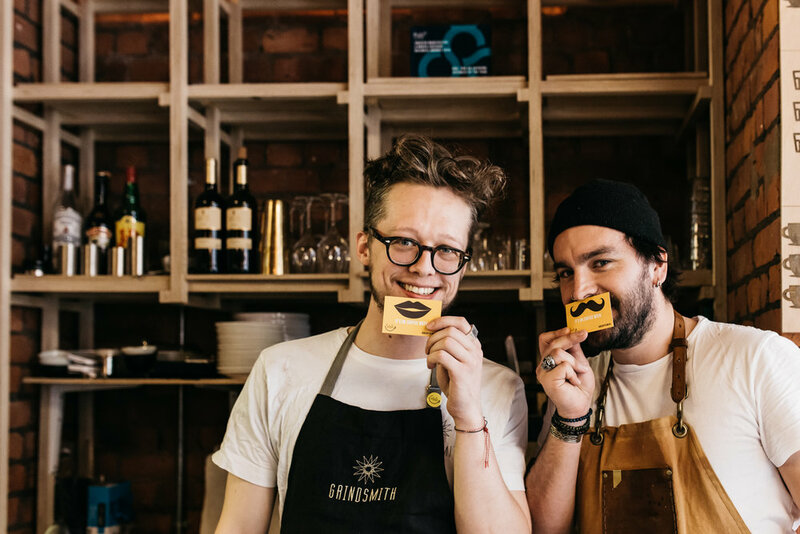 Grindsmith believe the coffee experience is their responsibility from seed to cup. Coffee is their craft, ritual and passion; it drives and inspires them. 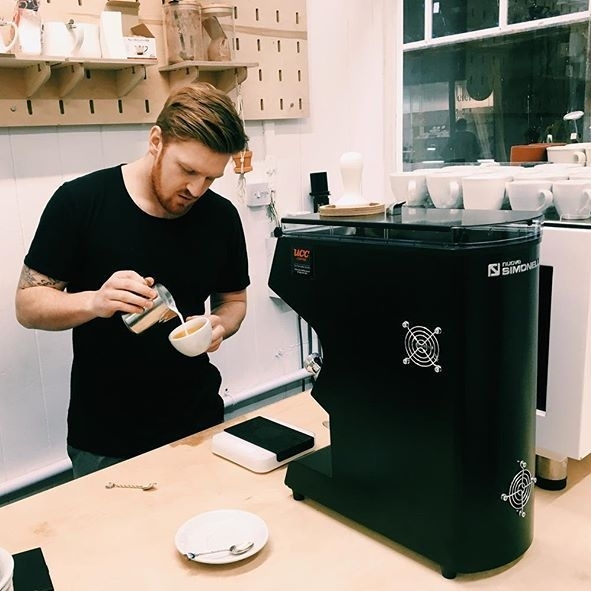 Aiming to serve the best coffee in Manchester, they believe in taste, sourcing the best beans in the city and using them to craft great tasting coffee. Their belief in flavour doesn’t just extend to coffee, but to all the food and drink available in their shops. By shopping locally wherever they can you can be certain that your experience, is the best that it can be. They will be donating from every coffee sold throughout the week and will be using it as a platform to help educate their customers in the importance of Project Waterfall. The Coffee Crank Co-op is a vegetarian and vegan cafe based in the beautiful Alexandra Park in south Manchester. The project started with a strong support from their community, which is at the heart of what they do. Aside from the cafe they also have two coffee carts that cycle to local markets, events and festivals. For UK Coffee Week they will be selling cakes to support project waterfall and may even hold an event to raise more funds. We can’t wait to see what this creative team gets up to! A place to work, make art, read a book, play the piano, meet good people, attend events, drink as much tea or coffee as you want; a place you’re free to be yourself. This is Ziferblat. A unique space where everything is free inside except the time you spend there. Having taken part in UK Coffee Week for the last two years, the amazing team behind the Zieferblat experiment will be helping raise even more money for the Jabi Tehnan region this year. 92 degrees is Liverpool’s first combination coffee shop and roastery. Based in Liverpool’s historic Georgian quarter and opposite the Philharmonic Hall, this beautiful coffee shop is at the heart of Liverpool’s coffee scene. They work closely with green coffee import partners, gaining traceability information whilst ensuring socially and environmentally sustainable practices are delivered from farm to cup. We’re proud to say that 92 Degrees have been a supporter of UK Coffee Week since 2015, and hope that they will continue their journey with us for years to come! One of the best places for coffee in York, Bison Coffee House is an independent coffee shop and vintage store. With amazing coffee, regular music events and overflowing with charm, Bison Coffee House is a place to remember. They are taking part in UK Coffee Week 2018 for the first time ever and will be donating 5p from every coffee sold during the campaign. Everyone has a story to tell, and this coffee shop begins with great coffee. From each carefully selected item on the menu, the unique journey their coffee beans make and even the paper they print on, tells the story of this extra-special café. Stories is an independent vegetarian cafe in north Leeds. Inspired by Scandinavian design and world cuisine and offering some of the best artisan coffee in Leeds, along with a menu of delicious, nutritious, plant-based dishes, cold-pressed juices and organic wines and cocktails. We’re looking forward to Stories taking part in UK Coffee Week 2018 for the first time! This brand-new coffee shop only opened last year but is already making waves in their home town of Hull with their specialty coffee. 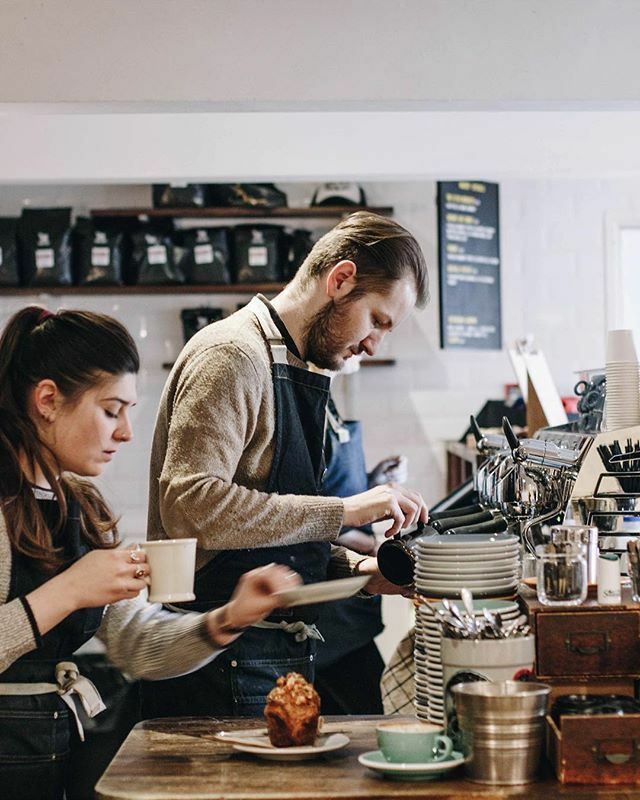 Located in Hull's oldest covered arcade, they are using their deep knowledge of coffee to push boundaries and bring only the best quality coffee to city they love. They chose to take part in UK Coffee Week 2018 and help support Project Waterfall, and we are looking forward to seeing what these two gingers have up their sleeves. Mouth-watering coffee and deliciously scrumptious food, Town House Coffee is the choice for the local caffeine addicts of Preston. Serving Origin Coffee with plenty of vegetarian and vegan menu options, Town House’s commitment to their community and environmental sustainability permeates everything they do. Pumphreys Coffee truly is a family business, established in 1750 in Newcastle-Upon-Tyne. They offer the finest quality coffee and tea equipment to customers, for both trade and consumer. With two cafés in Newcastle to showcase their commitment to high quality coffee, they are a trusted staple of the Newcastle coffee scene. For UK Coffee Week, they are going with one of our favourite fundraising games, the classic ‘Guess the Beans in the Jar’. They will be asking for £1.00 per ticket to enter, with all fees supporting Project Waterfall. 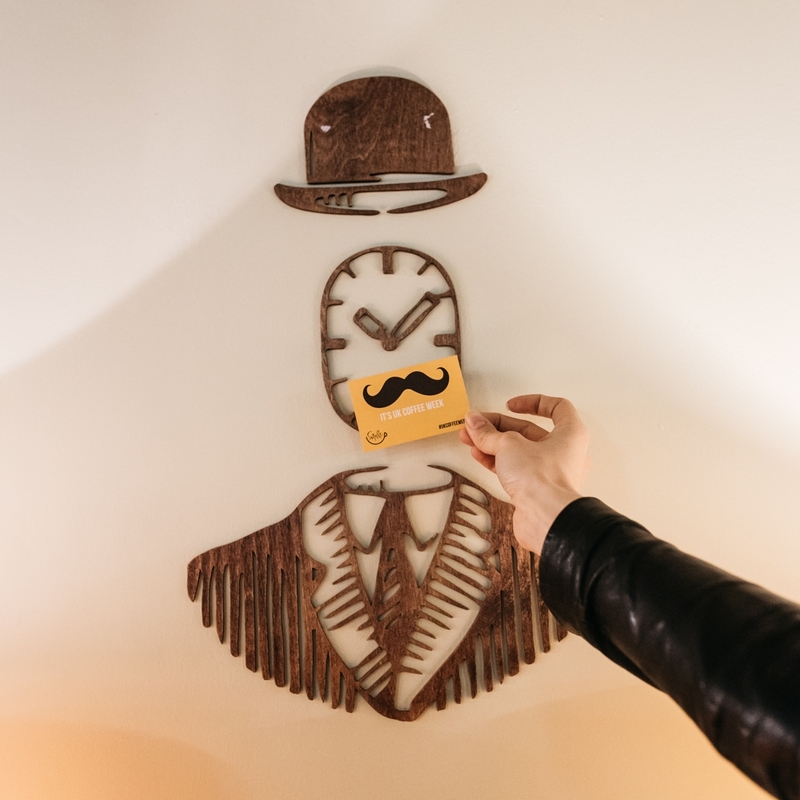 The winner gets 8 free drinks at any of their outlets….get guessing Newcastle! Ouseburn Coffee Co. is the North East’s leading specialty coffee supplier and Newcastle’s first independent roastery. Founded in 2012 by a small band of passionate coffee roasters and baristas, their commitment to sourcing the best bean shows in the quality of their roast. They are taking part in UK Coffee Week 2018 through their café Harvest Canteen, in the popular suburb of Jesmond. This modern café offers great coffee and an all-day breakfast/brunch menu which is sure to please. 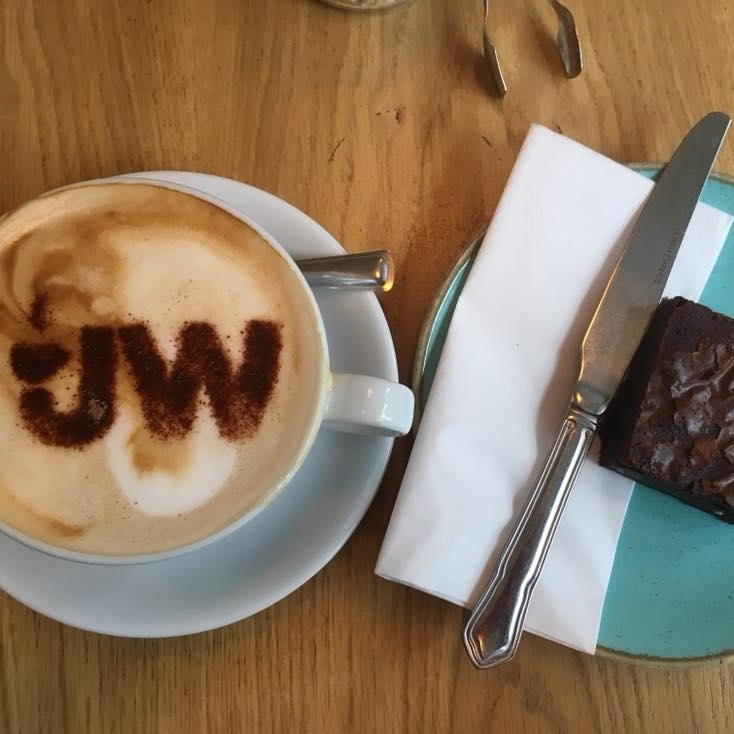 For more than 150 years people have enjoyed the special taste of John Watt & Son coffee in Carlisle. It all began way back in 1865 with the opening of their shop on Glovers Row in the city centre. Today Peter and Carol Johnston are building on the legacy and traditions of the business at their Bank Street café. With a wide range of coffee’s and tea, as well as barista training and free tasting sessions on the first Saturday of each month, John Watt & Son is the coffee leader in Carlisle. This awesome independent store has been a part of UK Coffee Week for a good few years now, and we’re thrilled that they could join us for another year of supporting Project Waterfall! Good coffee, fresh donuts and a warm welcome, is what defines local Sheffield favourite Steam Yard coffee shop. Sheffield has a great coffee community that is always pushing things forward, and Steam Yard is a fitting example of this. All about good coffee and great friends, Steam Yard is sure to leave you with more than just your typical coffee shop experience. They team at Steam Yard have been long-time supporters of UK Coffee Week and we are excited to have them on board again for UK Coffee Week 2018. To help raise money for Project Waterfall, Steam Yard will be donating 10p from every coffee sold during the week.